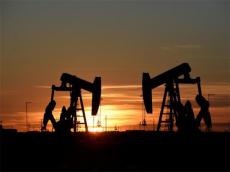 Kazakhstan and Azerbaijan are studying the possibility of creating a joint oil and gas enterprise, said Kazakh Minister of Energy Kanat Bozumbayev and Azerbaijani Minister of Energy Parviz Shahbazov during their meeting in Astana, astanatimes.com reports. “We are now considering the opportunity of setting up a joint enterprise in the oil and gas industry because Azerbaijan, similar to Kazakhstan, has a rich history of oil and gas industry development. Today, Kazakhstan has big projects in oil and gas exploration and we can consolidate these efforts to establish a joint venture with mutually beneficial conditions,” said Shahbazov. The two oil-rich countries are using the Baku-Tbilisi-Ceyhan (BTC) pipeline, a 1,768-km trans-Caspian export pipeline opened in 2005 which Kazakhstan joined the following year. Oil exports through the BTC were suspended from the second half of 2015 until last year, when Kazakhstan opted to resume them. Shahbazov noted possible cooperation in other fields, including agriculture and tourism. “As for agriculture, we would like to introduce new components as part of our working group. We did a good job and trade grew largely due to grain exports to Azerbaijan,” he added. Bilateral trade reached $141.5 million from January-July, showing 94.6-percent growth compared to last year’s $72.7 million. Exports of $112.4 million also witnessed a 98.9-percent hike from last year’s $56.6 million, while imports grew 79 percent from $16.2 million to $29 million. “We have many products that we can export to Kazakhstan and we agreed to continue our activities in this area. Based on this, we want to boost our trade again in the near future,” he said. In October, Kazakhstan expanded the list of products that could be exported to Azerbaijan. “The analysis of global imports to Azerbaijan juxtaposed with the data on global Kazakh exports as well as exports of Kazakhstan to Azerbaijan revealed Azerbaijan has a definite potential for the export of Kazakh products,” said a statement released by the Kazakh Ministry for Investments and Development. The ministry included 37 trade positions with high export potential such as metallurgy (ferrous metal pipes, flat-rolled iron or non-alloy steel and metal structures), chemistry (pharmaceuticals and polypropylene), equipment (gas shut-off valves, switchboards, transformers and static converters) and the food industry (chocolate, soft drinks and water). Shahbazov noted the potential of the Caspian Sea in developing tourism, such as cruise routes. Simplifying the visa regime is also on the agenda, he added. At present, Kazakh citizens can stay in Azerbaijan for a maximum of 90 days without a visa and Azerbaijanis enjoy a 30-day visa-free stay in Kazakhstan.